FOAID, since its inception aims to create a benchmark where the stalwarts & future designers share a common platform, to discuss how the design world has transformed & innovated over the years. The advent of the internet, social media platforms and the smartphone has led us down a precarious road in a hyper connected world. Even in our sub - genre of life that is 'Design', we have embraced social media leading to an unprecedented ascent in 'Instagrammable' content. This raises some important questions pertaining to the originality of design, authenticity of expression and an influence of thought. At the Delhi Edition of the Event, Puran Kumar was invited to moderate a panel discussion on #designtoday - Form Follows Doubletap, which seeks to explore the relationship between design and media as we now know it. Index is a leading international trade fair and India's largest focused commercial platform on interiors, architecture and design. On the occasion of its 30th Edition, Puran Kumar was invited to present 'An Ode to the Humble Brick' at 'Material Matters'. The talk sought to elucidate the use of the material as a sustainable approach to architecture and design, through some of the studio's works as well as through concepts explored in the field. 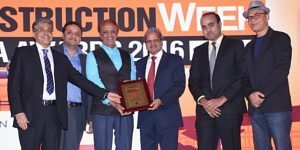 Now in their 7th Year, Construction Week India Awards is the most recognized and highly valued awards ceremony celebrating the achievements of the country’s construction and infrastructure players. Puran Kumar was amongst an illustrious jury that comprised Real Estate Experts, Consultants, Architects and Financial World bigwigs who were entrusted to choose the winners from hundreds of nominations, from across the country, through a transparent and unbiased selection process. 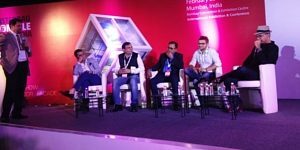 iGEN Design Forum 2017 is a unique one-day design and knowledge forum, which provides an excellent platform for decision makers from the architectural and interior design fraternity, along with various associations of the construction industry. Puran Kumar was invited as the Keynote speaker and put forth his thoughts on architecture and design through the presentation: Experiences, Material and Form. The segment sought to explore experiences that drive spatial configuration and design narratives, which also arise as a consequence of a built form that is both organic and contextually aware. 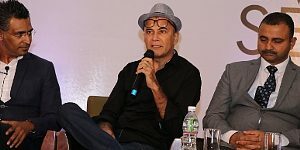 At the Mumbai edition of Event, Puran Kumar was invited to kickstart the proceedings by moderating the first panel discussion – Perfect Strangers: Design Meets Story, which was preceded by a Flashback of FOAID ’16 and a presentation to set the tone. An eminent and distinguished panel of 6 architects and designers, an enthusiastic audience and the grand stage all contributed towards yet another engrossing, informative and successful event at FOAID. Canadian Wood with FOAID 2017 honors innovation, function and aesthetic advancements in the furniture Industry. Students from premiere architecture colleges from across the city of Mumbai worked under the guidance of established architects and interior designers to arrive at a ‘unique furniture piece’ crafted out of Western Hemlock. Led by Puran Kumar, Studio PKA was invited to mentor and guide students from Balwant Sheth School of Architecture. The Studio was delighted to learn that the team of 7 went on to bag the Second Position for their ‘multi-functional, iterative furniture piece – designed for libraries and reading rooms’ - titled ‘Furore’. PechaKucha, a Japanese term that translates to ‘chit-chat’, was devised as an event for Architects and by Architects. The style focuses on quick paced and concise presentations – 20 slides x 20 seconds – where speakers present their ideas while strictly adhering to the rules. The Modern Home: Luxury Design and Interiors in India is a compendium of 35 houses and apartments designed by significant Indian Architects and Designers. The book attempts to epitomize the notion of the luxurious Modern Indian Home, while embodying the hybrid concepts that transcend geographic boundaries and influences. Alluding to the vernacular, a rich sense of culture and tradition is ever present as The Mango House spills over from the dust jacket, at both ends, and spreads out, covering the span of the open book. Featured over 14 pages, The Mango House is resplendent and is captured in all its glory through vivid image spreads, interspersed with concept notes that delve deeper into the story and thought behind the abode. Founded in 2006, ET ACETECH was conceptualized to bring all the architects, designers, developers, engineers, contracting companies, material suppliers and technology providers under one roof for displaying and sourcing products expediently. 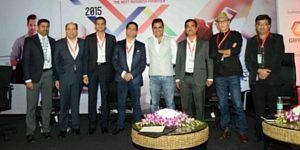 Encouraged by the optimistic response to ACETECH each year, ACETECH 2015 embarked on the road to pursue its aim and vision, to widen the reach of the platform, in order to ensure it becomes the converging point for Industry specialists across the globe. 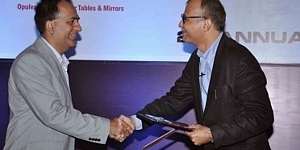 To accomplish the objective ACETECH launched ACE INTERFACE. Puran Kumar, along with 4 other eminent architects, was invited to participate as a panelist at ACE INTERFACE 2016, Bangalore. Moderated by Jürgen Mayer of J. Mayer H. Architects, the panel was titled: “The Tactile Form – Patterns of Architecture and Materiality”. The discourse sought to explore the ideas of repetition, ornament, materiality and sensual experience in architecture. The Mango House was presented and discussed not only through the haptic qualities of surfaces but also experiential aspects of space – atmospheres, smell, lighting, daily rhythms and temporal repeats like seasonal patterns. 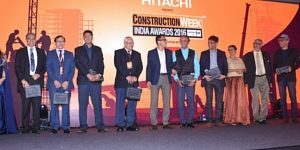 Construction Week India Awards are the most recognized and highly valued awards ceremony celebrating the achievements of the country’s construction and infrastructure players. The awards recognize and reward individual excellence, corporate prowess and project success. Puran Kumar was invited to serve as a member on the Grand Jury to review, score and adjudge the winners over several categories. The “Think Turf Series”, an editorial initiative by the Architect & Interiors magazine, is a conversation between these personified ideologies and the fraternity. 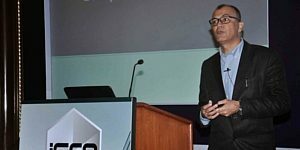 At the Ahmedabad edition of the Forum, Puran Kumar was invited as the Keynote Speaker to elaborate on these ideas which was presented under the title ‘Dimensions of Design’. The definition of ‘what makes a home’ is changing every minute and we are currently on the verge of a major shift in the way we live and interact with our environment. 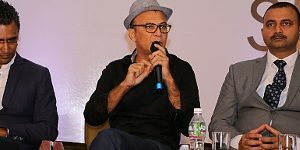 The event comprised of Q&A sessions and interactive panel discussions in which Puran Kumar participated as a panel member. 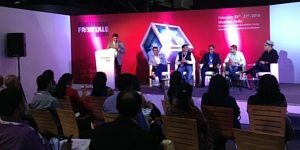 With the rapid growth of the built environment and the adverse effect on the natural, Fensterbau Frontale India 2016 hosted at the Bombay Exhibition brought to the forefront a panel discussion on the importance of energy efficient facade design. With every architect’s conviction in their respective beliefs and practice, Puran Kumar summed up that “Net Zero energy building is essentially energy conservation on all ends- heat, water and air. 50 Amazing Homes -is a platform showcasing the outstanding architectural marvels from around the nation. PKA’s contribution to the distinguished collection is special as it documents and represents the very style and conviction associated with the Home. The Mango House recreates the magic in a theoretic presentation through larger than life images and drawings, bringing to life the earthy abode. This event was designed to offer an opportunity to maximise one’s learning and business potential. 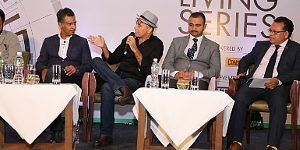 It comprised of Q&A sessions and interactive panel discussions along with in-depth presentations, in which Puran Kumar participated as a panel member for ‘Smart Office Design & Build’. PKA completed 20 years of practice in 2013. The Firm made the most of this opportunity by celebrating PKA@20, along with recognising key milestones and the people who helped formed a part of the journey! The celebrations were spread over a few events, organised to share the occasion among clients, team and friends of PKA! Events like these motivate Team PKA to strive to do our best, and enjoy the trust and respect of those who we partner with. As per the IGen Design Forum format, the event comprised of interactive sessions with industry leaders and the architectural fraternity. They jointly tackled and addressed issues facing our emerging India. Amongst all the sessions, there was a presentation given by Puran Kumar on the ‘Simplicity of Design’ which highlighted the need of uncluttered design principles in an universal context, thereby making them efficient and pleasing to use in our otherwise cramped lives. 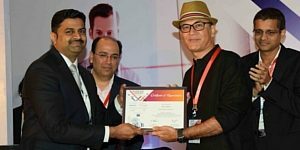 IIID Awards for Excellence in Interior Design, are one of the coveted awards in the country for recognising talent and honouring excellence in the interior design fraternity. 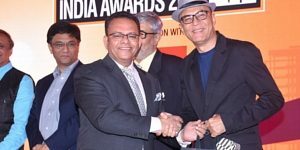 The awards jury comprised eminent interior designers, design journalists, academicians and architects including Puran Kumar. This design extravaganza ended with the hope of raising the bar of excellence in interior design to a new height every year.